Quick, up to 18 page per minute output capability features crisp 600 x 600 dpi resolution for professional-quality laser printing. This unit is equipped with a modem capable of up to 33.6 kbps data transfer speeds. This model features a flatbed scanner in addition to the 15-page document feeder, for easy faxing and copying of odd-size documents and books. With the ability to make multiple copies at up to 18 pages per minute as well as enlarge and reduce - this unit is not just a fax machine, but a true home/life office command center. Multifunction, wireless, duplex laser printer offers dynamic capabilities in a reliable machine that's perfect for any office environment. Customizable, 5" color touch LCD allows you to intuitively navigate through the menu options and quickly access the features you use most. Print professional-quality documents at speeds up to 28 pages per minute in both color and black/white with a fast first print speed of 9 seconds or less. Get crisp, bold results for documents and photos using V2 (Vivid and Vibrant) Color Technology, which increases image sharpness and color vibrancy. Eco-conscious, duplex print saves you time, paper and related costs as well as limits paper replacement interruptions. Department ID management is password-protected to manage device usage and color access for up to 300 IDs. Printer also includes 1GB print memory, 250-sheet cassette, 50-sheet multipurpose tray, 50-sheet document feeder and more. Wireless MP980 Photo All-In-One Printer offers a maximum 9600 x 2400 color dpi with microscopic droplets as small as 1 picoliter. Prints borderless 4" x 6" photo in approximately 20 seconds. Prints 26 black/white pages per minute with 600 x 600 dpi and 23 color pages per minute with 9600 x 2400 dpi. Generates 24 black/white copies per minute and 19 color copies per minute. Offers seven individual ink tanks with FINE technology for exceptional speed and long-lasting, photo lab quality results. Enrich your photos with Auto-Image Fix. Large 3.5" TFT screen delivers sharp previews with a 170-degree wide angle view. Easy-Scroll Wheel allows simple editing. Advanced media handling includes auto duplex so you can automatically print two-sided. 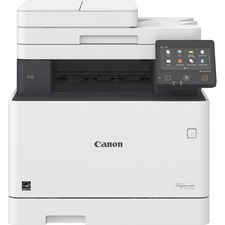 All-in-one printer features two 150-sheet paper trays, copy scaling from 25 to 400 percent, media card slots, USB 2.0 interface, Ethernet connector and optical color scan resolution of 4800 x 9600 dpi. Energy Star qualified. 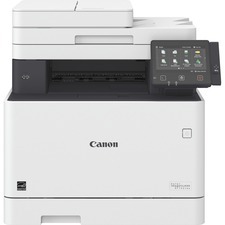 Full-featured, easy-to-install laser printer prints, copies, scans and faxes. Enable easy printing from smartphones, tablets and laptops at work or on-the-go using mobile printing features. Use the simple, intuitive, two-line, LCD control panel to easily set up projects and start printing right away. Finish projects fast, using the 35-page automatic document feeder to make the most of your time. 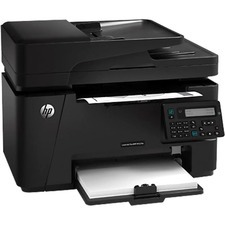 The LaserJet Pro MFP 127FN generates 21 monochrome pages per minute with up to 600 x 600 dpi. First page is out as fast as 9.5 seconds. Print from virtually anywhere with AirPrint. Easily copy both sides of a two-sided ID or other small document onto the front of a single-page. Set up and start fast with HP Smart Install - no CD required. Share all your printer has to offer, companywide, using 10/100 Ethernet connectivity. 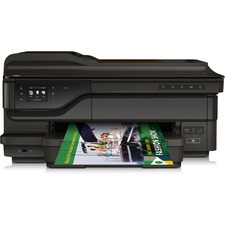 Printer also features a USB 2.0 port, flatbed scanner, 128MB memory, 600 MHz processor and 150-sheet input tray. Energy Star qualified. 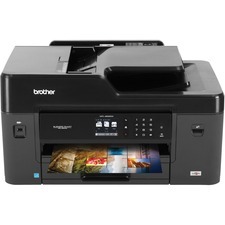 All-in-one, color, wireless laser printer features a customizable, 5" color touch LCD to intuitively navigate through the menu options the same way you would on your mobile device. Multifunctional design offers print, scan, copy and fax capabilities to help you accomplish all of the necessary tasks with just one machine. Its fast operation produces professional-quality results at speeds up to 28 pages per minute in both color and black/white with a quick first print time of 9 seconds or less. Get crisp, bold results for documents and photos using V2 (Vivid and Vibrant) Color Technology, which increases image sharpness and color vibrancy. Eco-conscious, all-mode duplexing saves you time, paper, costs and limits interruptions for hassle-free use. Department ID management is password-protected to manage device usage and color access for up to 300 IDs. Printer also includes 1GB print memory, 250-sheet cassette, 50-sheet multipurpose tray, 50-sheet automatic document feeder and more. Widen your printing possibilities with an all-in-one printer that produces professional marketing materials from 3" x 5" to 13" x 19". Quality inks deliver fast-drying, water-resistant documents that stay vivid for decades. Automatic document feeder and 250-sheet paper tray allow you to reload paper less often to easily handle large print jobs. ePrint technology lets you print from your device from virtually anywhere. Schedule-on and schedule-off technology lets you preset when you want the printer to turn off or on to save up to 40 percent on energy consumption. 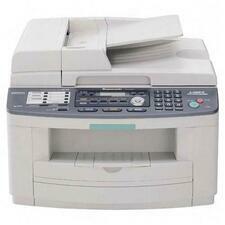 Printer also features a 500 MHz processor speed and 256MB memory. 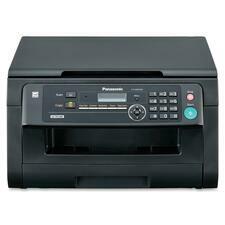 KX-MB2000 Network Laser Multifunction Printer offers printing, scanning and copying. Print 24 pages per minute with 600 x 600 dpi. First page is out in 12 seconds. Included host-based GDI printer driver can add watermarks to printed documents, print or create document Overlays, merge up to 16 documents on a single sheet of paper, or enlarge your document to a wall-size poster. Scan documents directly to a PC, Email, shared network folder or FTP server. 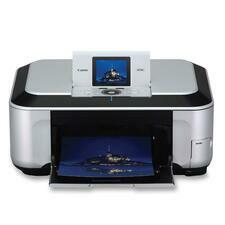 9600 x 9600 dpi flatbed color scanner scans documents in full color to be saved as a PDF, JPG, TIFF or BMP file. 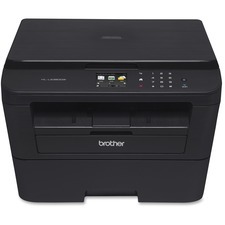 Printer also features 10/100 Base-TX Ethernet and High Speed USB 2.0 interfaces, 32MB memory, USB 2.0 connector, copy scaling from 25 to 400 percent, collate/sort/copy function, and 250-sheet input tray.